It seems especially fitting to celebrate Dia de Los Muertos on Olvera Street. After all, the thoroughfare is part of El Pueblo de Los Angeles Historical Monument, the oldest part of Los Angeles, and the city center when it was under Mexican rule in the 19th century. 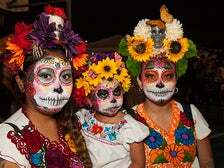 Dia de los Muertos Festival Days will take place Oct. 28-29 from 10am-8pm, and Nov. 1-2 from 4-8pm, featuring live entertainment, traditional dancers, face painting and family activities. The nightly Novenario Procession will be held on Olvera Street from Oct. 25- Nov. 2 beginning at 7 p.m. The colorful community altars will be on display in the Plaza Oct. 28 - Nov. 2. 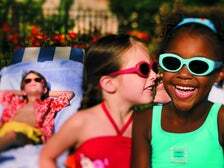 When it's too darn hot, where in the Los Angeles area can you go with the kids to cool off and have some fun to boot? Here are a dozen L.A. spots that deliver relief. 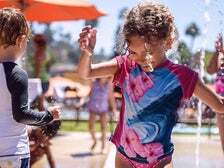 Hotels across Los Angeles welcome families and kids with open arms. They're happy to see you, anticipate your every need, and know just the thing to make your vacation memorable. 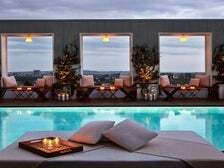 Read on for hotels in L.A. that go the distance for you and your family. 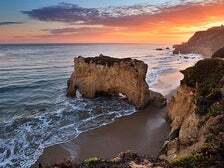 There's no shortage of things to do in the City of Angels this May. 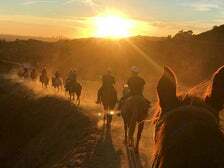 From holiday events to cultural festivals and much more, discover these fun events happening around L.A. Guests embark on a self-guided stroll along a trail through lush landscaping similar to the earliest known trees and plants from the time dinosaurs roamed the earth, including ferns, cycads, conifers and ginkgos. 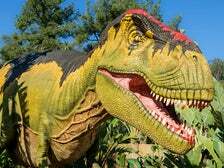 Your face-to-face dinosaur encounters begin with a fierce Suchomimus, followed by a massive Brachiosaurus, whose 18-foot-long neck required a gigantic heart to pump blood up to the top. Next, guests encounter two Coelophysis dinosaurs; a Citipati, which used its feathers to protect and warm its eggs, just like modern-day birds; and a Carnotaurus, a bipedal carnivore covered in small scales and bony lumps. 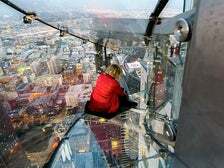 The highlight of OUE Skyspace Los Angeles is Skyslide, a first-of-its-kind outdoor glass slide that’s attached to the exterior of the U.S. Bank Tower.